October 31! It is the official end of the corkscrew fiscal year! And, the ICCAuction corkscrew auction is in full swing. 676 corkscrew lots at last count. And, there are some juicy ones! There are definitely a few that I will be going after. With our best 6’s having been turned in, it seems like a prime opportunity to start trying to get a piece that will make the best 6 for 2011! 1. 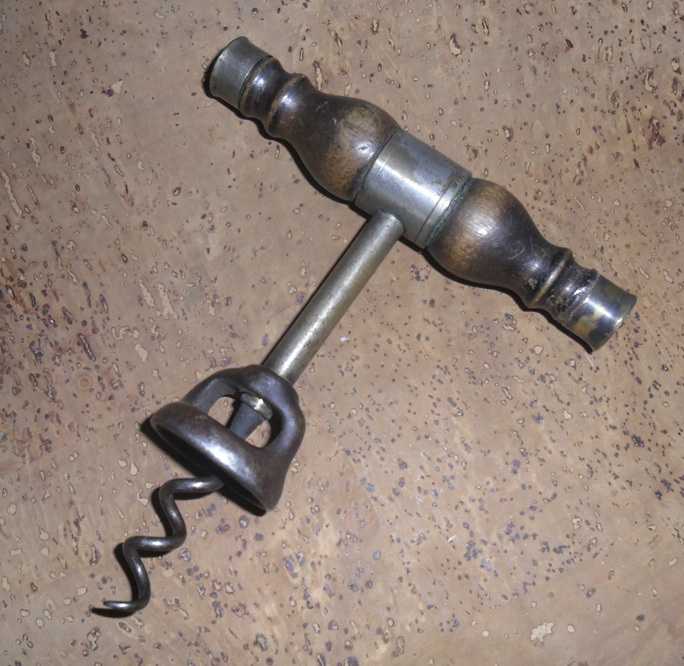 James D. Frary’s “Giant Corkscrew.” According to Kenneth Cope’s book Kitchen Collectibles, Frary was only in business from 1888-1890. 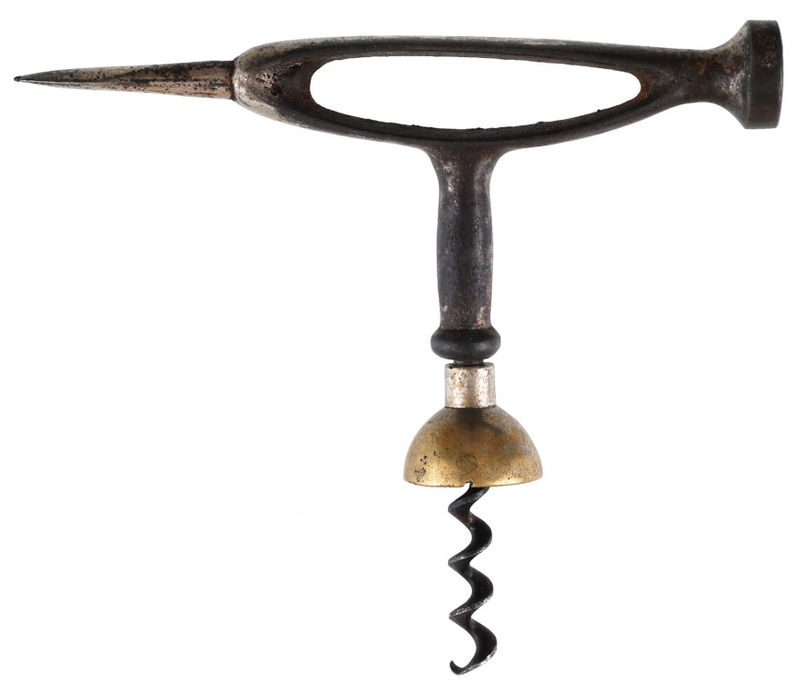 Thus far Cope’s book is the only reference that I have found for Frary’s corkscrews. 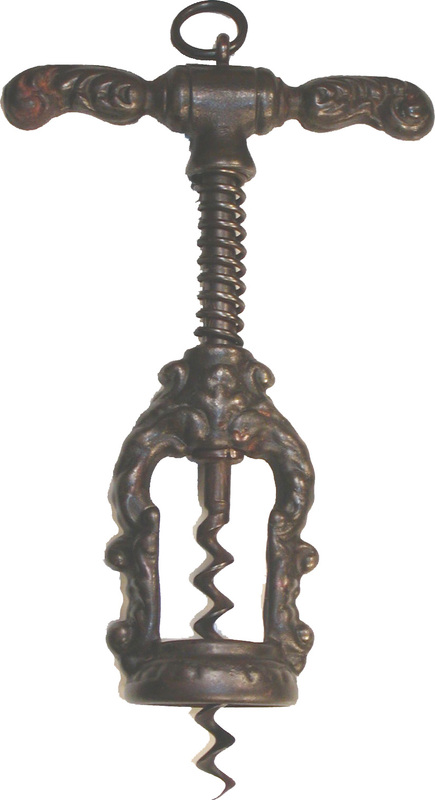 The Giant, and other Frary corkscrews, are pictured on pages 89-90. 2. 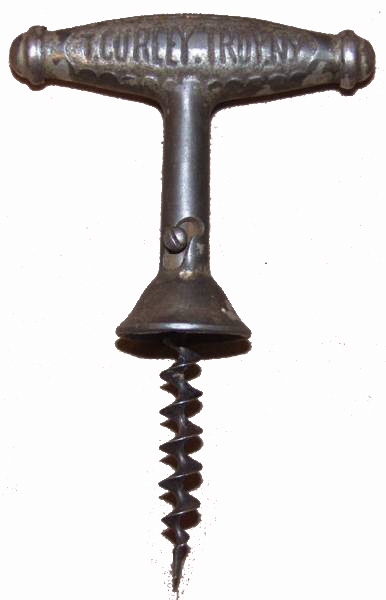 James D. Frary’s Fifth Avenue bar screw. 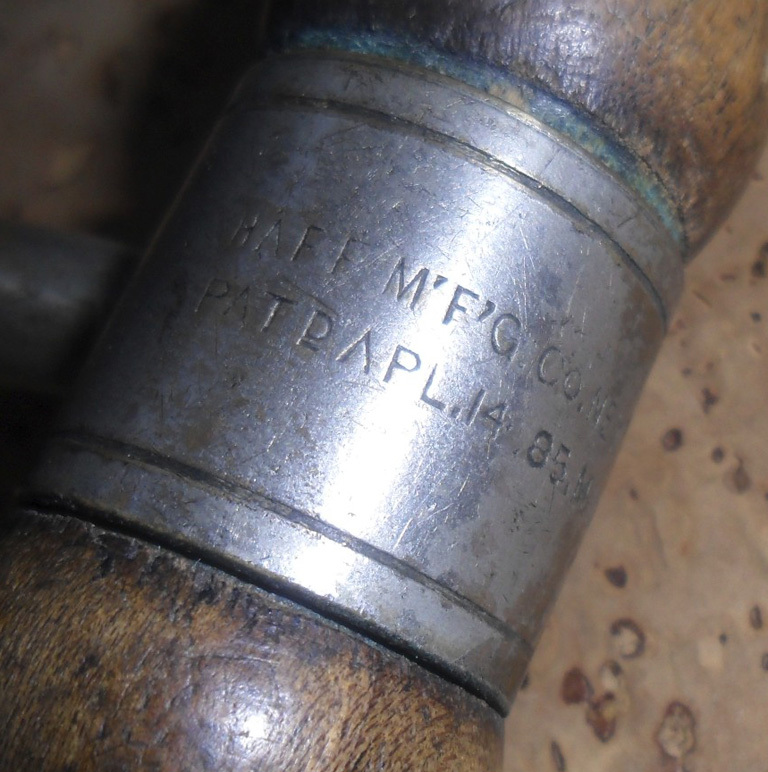 Marked FRARY PATENT APD FOR 5 AVENUE (ref. O’Leary Appendix One, Meadows p. 127, and Cope p. 89). 4. 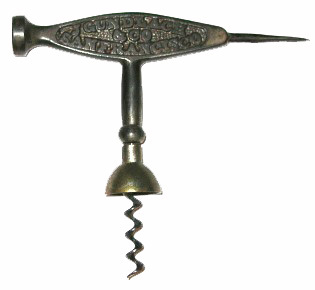 Everett Irving Rogers, Jr’s 1926 patented opener with corkscrew (American D 69,235). Unmarked. (ref. Bull’s Figural Corkscrews, p. 268, O’Leary update). The patent drawing doesn’t show a corkscrew. 6. 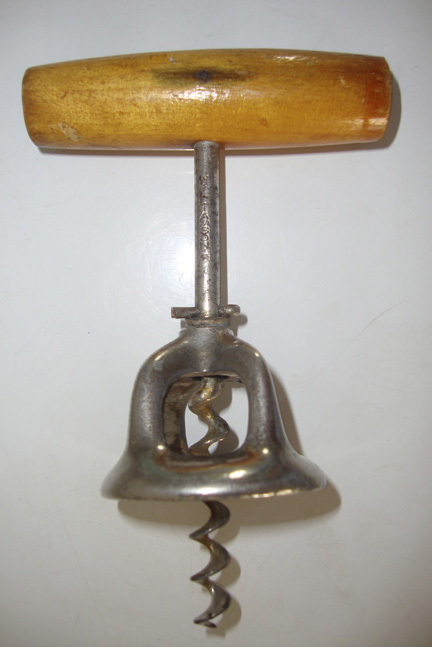 Oversized Williamson bell corkscrew. At the 2010 ICCA AGM, Paul Luchsinger presented evidence that the oversized Walker and Williamson were designed to pull a cork from a demijohn of Welch’s juice. A good year of collecting. And, who knows what will turn up next! Okay, it is more like arrival singular. I am still waiting on several corkscrews from various auction houses to arrive, but a corkscrew did make its way to the island today. I have had similar versions of this before. 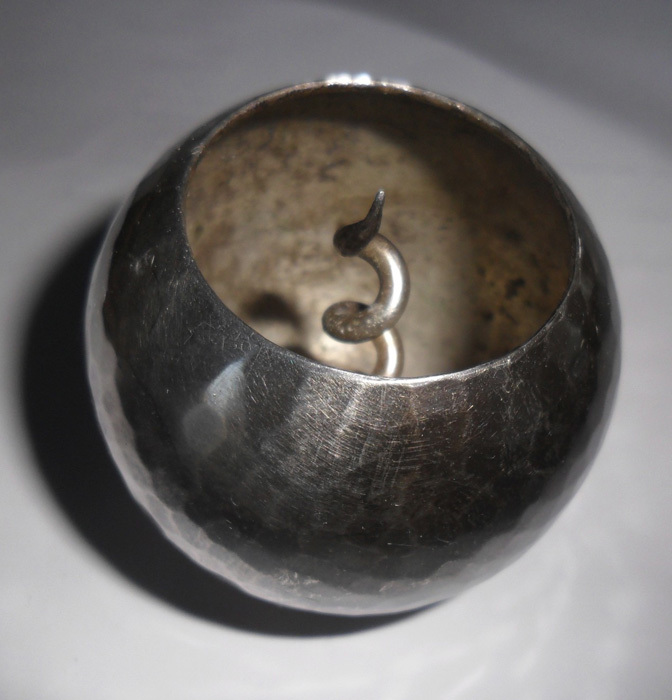 It is a hammered ball thingy with a corkscrew inside–I am sure that is not the technical name for it. Well, maybe you all can help. 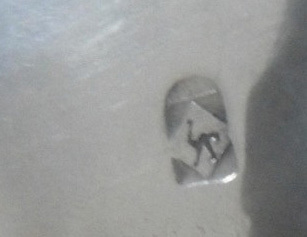 Does anyone recognize the mark? 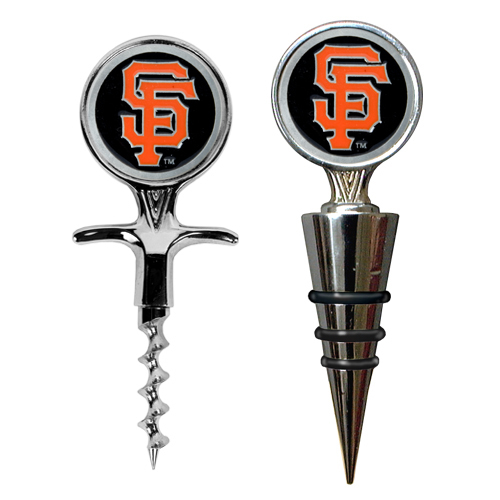 I have been wanting one of these little corkscrews ever since Don Bull showed it to me a while back. 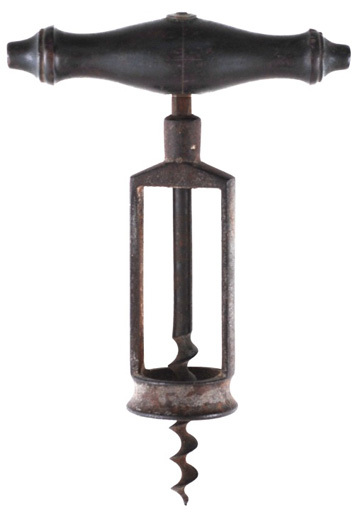 It is a remarkable little double lever that is designed for a screw top. And, given our love of New Zealand sauvignon blancs, I had to get one. As luck would have it, someone placed one in the original box on eBay with a buy it now or best offer. And, while the buy it now was a steal at 10 bucks, I simply had to try and get it for a little less. After, putting in my offer of 5 bucks, I just got the confirmation email, and the little cork puller (or cap twister as it were) is heading to Vinalhaven. However, I am narrowing things down, and the 6 will be posted soon! 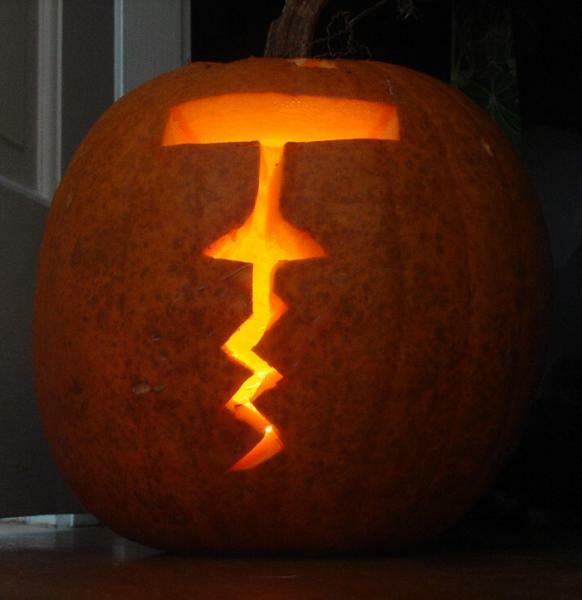 It is October 24th, and the corkscrew fiscal year ends in a week. 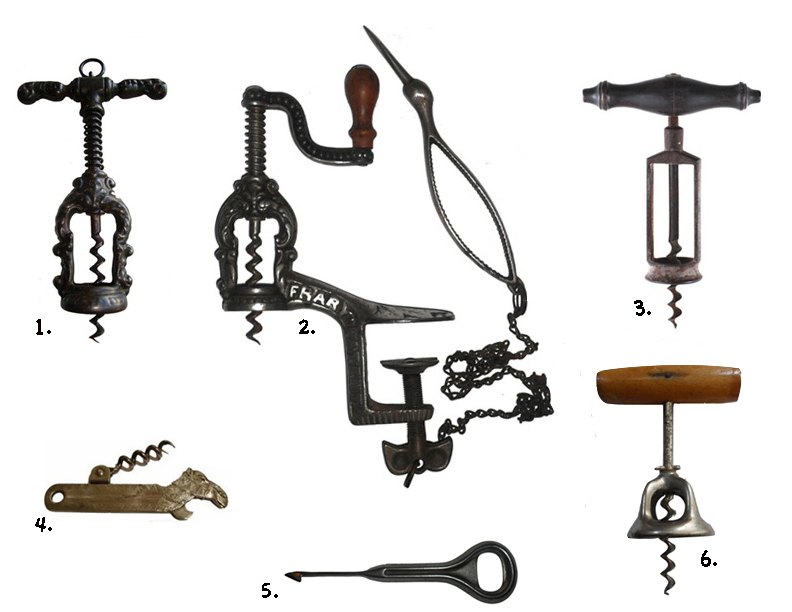 Yes, 7 days until the CCCC members are to submit their best 6 corkscrews of the year to the Quarterly Worme. Each year, the choice is hard. Even when there haven’t been great finds, there are always one or two that should make the list, but don’t. And, I have settled on the 6. Now, it could be that over the next 7 days, I might run across a corkscrew that knocks one of the others out of the running. And, quite frankly, I really hope that happens. Not that I feel my best 6 is somehow inadequate, but the mere idea of finding something better is pretty exciting! What are your best 6??? While at the CCCC meeting, I walked along the tables at the buy and sell, and found a nice little haff patent. 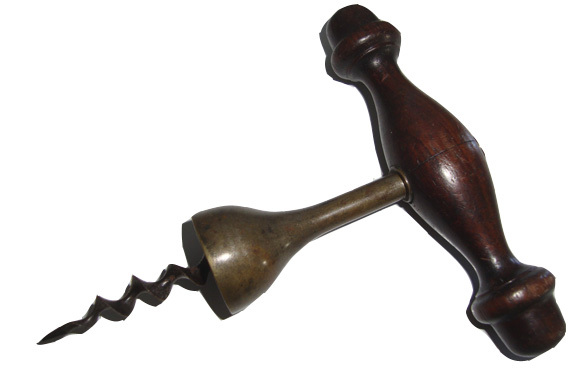 Not a major score, but I have always had an affinity for Haff, as one of the first antique corkscrews I ever bought was a Haff patent direct pull. I grabbed this one off one table, and even though the seller wouldn’t budge on price, I bought it and headed back to my table where there were some interested buyers. While, this one will not make the best 6 for 2010, it will be staying in the collection. If you have any Haff patents that are unusual (frame, brush, odd worm, unusual marking) drop me a line! 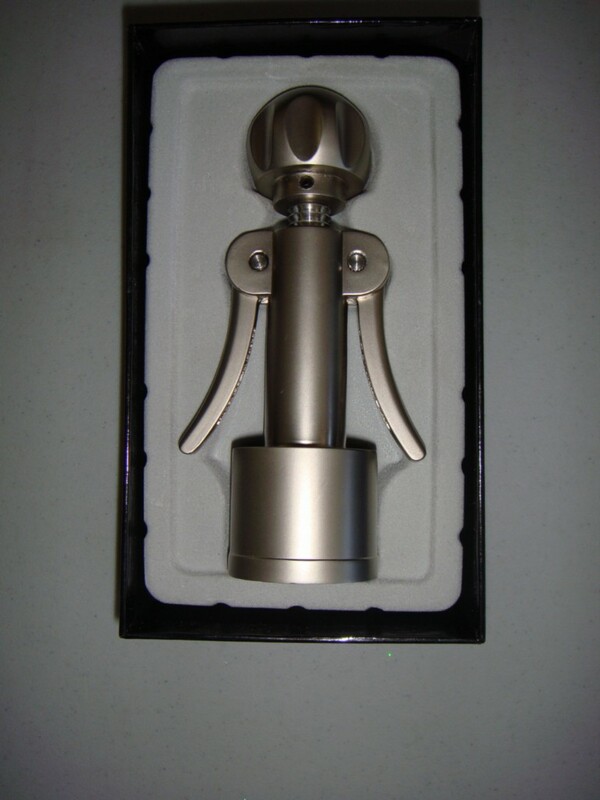 In between re-working design plans for the new kitchen, putting the finishing touches on the apartment, and teaching, I did place a couple of bids on some non-ebay corkscrews. And, as luck would have it, I won one of the auctions. Nothing really to write home about, and probably not much to blog about, but I am here, you are reading, so heck…why not. The rooster corkscrew is one that I haven’t had before, so it is probably worth the 20 bucks + 10 percent auctioneers premium. As for the others, I am thinking Christmas gifts (shhhhhh!). A few weeks ago, I had caught wind of a tool auction that was to take place on October 15th. 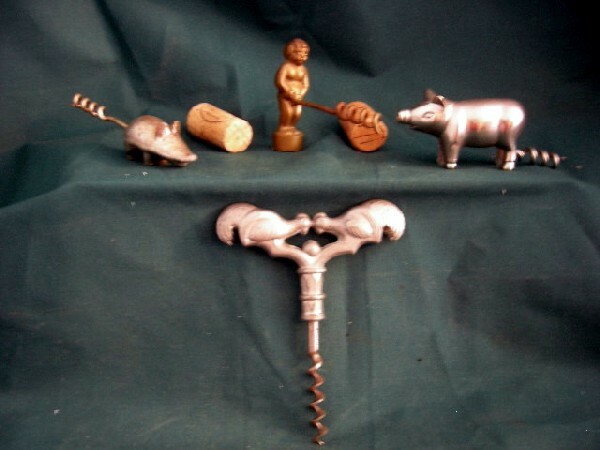 I went through the listings, and noticed there were a couple of corkscrews. However, one lot consisted of multiple multi tools. 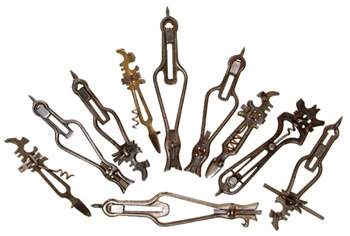 Some of the multi tools have corkscrews, and look to be those the turn up with regular frequency. One however, does is a bit harder to find! 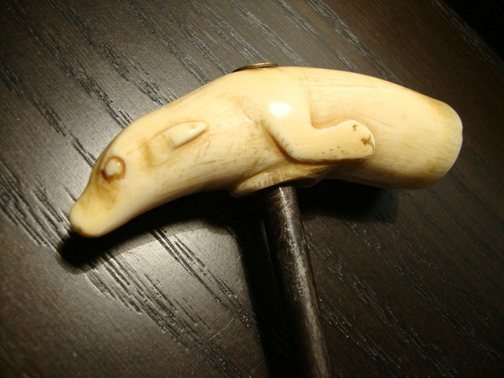 I placed a bid with the auctioneer, and yesterday received an email confirming my winning bid. A nice lot of multiple multis, with one stand out–it looks to be a variant of the Nylin patent! 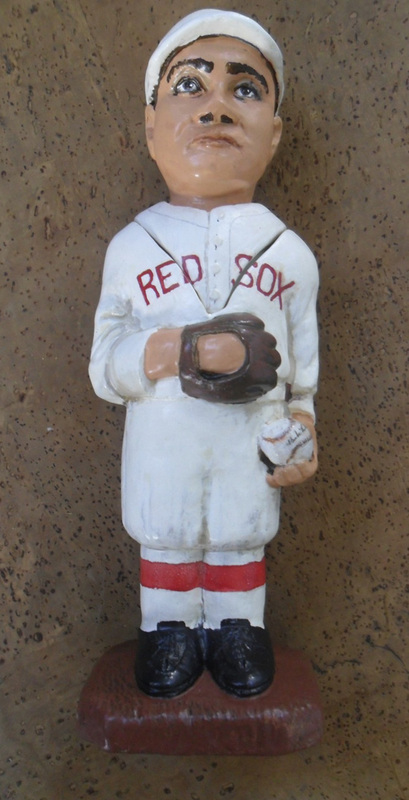 A similar piece was offered in trade to me at Brimfield this year, and I was reluctant to pull the trigger given the asking price. 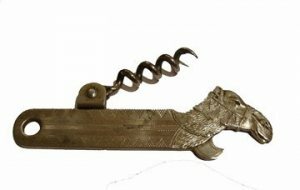 A neat corkscrew multi-tool to add to the collection! a few corkscrew pictures from the meetings — more photos soon! 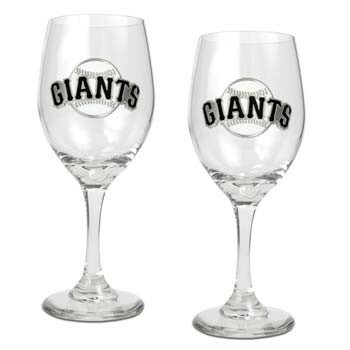 Tonight the SF Giants start their series against the Phillies.